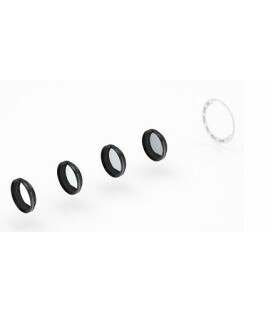 Ground glass for ALEXA Studio or ALEXA XT Studio in 4:3 mode with spherical lenses. Includes rectangles for 1.78:1 and 2.39:1 (flat) and stubs for 1.33:1 inside of 1.78:1. 800 grit surface. Ground glass for ALEXA Studio or ALEXA XT Studio in 4:3 mode with spherical lenses. Includes rectangles for 1.78:1 and 2.39:1 (flat) and stubs for 1.33:1 inside of 1.78:1. 1200 grit surface. Ground glass for ALEXA Studio or ALEXA XT Studio in 16:9 mode with spherical lenses. Includes rectangles for 1.78:1 and 2.39:1 (flat) and stubs for 1.33:1 inside of 1.78:1. 800 grit surface. Ground glass for ALEXA Studio or ALEXA XT Studio in 16:9 mode with spherical lenses. Includes rectangles for 1.78:1 and 2.39:1 (flat) and stubs for 1.33:1 inside of 1.78:1. 1200 grit surface. Frameglow mask for ALEXA Studio or ALEXA XT Studio in 4:3 or 16:9 mode with spherical lenses. Includes rectangles for 1.78:1 and 2.39:1 (flat) and stubs for 1.33:1 inside of 1.78:1. Ground Glass for ALEXA Studio or ALEXA XT Studio in 4:3 mode with 2x anamorphic lenses. 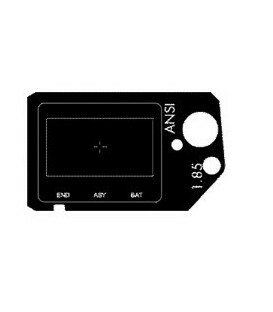 Includes one rectangle for 2.39:1 (Scope 2x) and stubs for 1.78:1. 800 grit surface. Ground Glass for ALEXA Studio or ALEXA XT Studio in 4:3 mode with 2x anamorphic lenses. 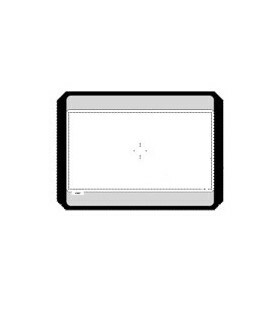 Includes one rectangle for 2.39:1 (Scope 2x) and stubs for 1.78:1. 1200 grit surface. Frameglow mask for ALEXA Studio or ALEXA XT Studio in 4:3 mode with 2x anamorphic lenses. Includes one rectangle for 2.39:1 (Scope 2x) and stubs for 1.78:1. Ground glass for ALEXA Studio or ALEXA XT Studio in 4:3 mode with no markings. 800 grit surface. Ground glass for ALEXA Studio or ALEXA XT Studio in 4:3 mode with no markings. 1200 grit surface. Ground glass for ALEXA Studio or ALEXA XT Studio in 16:9 mode with no markings. 800 grit surface. 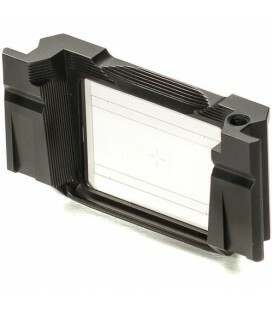 Ground glass for ALEXA Studio or ALEXA XT Studio in 16:9 mode with no markings. 1200 grit surface. Provides REC - BAT and FULL warning indicators in the bottom of the optical viewfinder frame when a blank ground glass is used on ALEXA Studio or ALEXA XT Studio.